One Collection uPVC Flush Sash windows and doors from Everglade Windows offer an authentic timber replica, for customers looking to retain the period features or add traditional charm to their property. Flush windows and doors are also used on modern homes thanks to the sleek design. 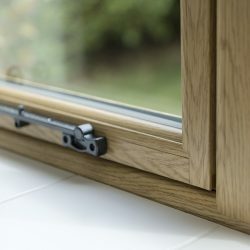 Flush sash windows and doors are effective replacements for timber windows as they have sashes that close into the frame and finish flush with the face of the window. This means that the frames appear to have the same width, creating a window with equal sightlines. One Collection Flush windows and doors are a great choice for homeowners who live in period properties who need replacement windows but would like to retain charm and character, as well as homeowners of modern houses who are looking for a unique and sophisticated feature. The classic appearance of our flush uPVC windows and doors means that they are suitable in conservation areas, which is ideal if you work in areas such as West Berkshire, Aylesbury Vale and Wokingham. One Collection Flush uPVC windows and doors are available in 26 colourways, so you can offer your customers more design flexibility. 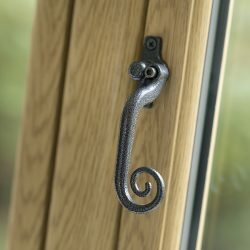 Homeowners can choose traditional woodgrain finishes in natural colours such as Rosewood, Golden Oak, Irish Oak, Nut Tree and English Oak, or contemporary shades like Anthracite Grey or Black Ash for a window with a difference. Dual colour options are also available. Complete the look with heritage hardware from Everglade Windows. 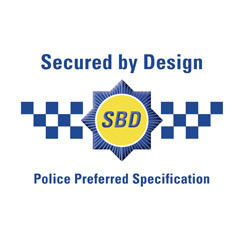 As well as standard handle options, pear drop & monkey tail handles and dummy peg stays are available for a truly authentic finish. 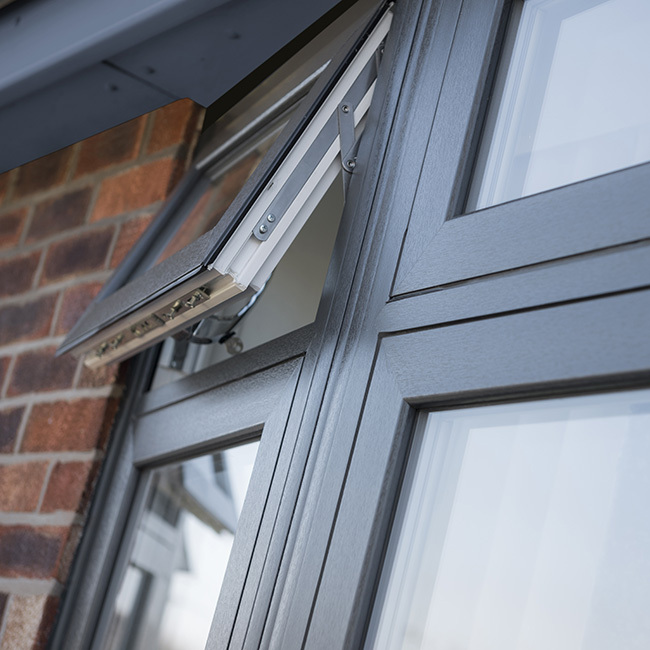 One Collection Flush Sash uPVC windows offer U-Values of 1.2 W/m2K and have been rated ‘A+’ for energy efficiency. We also offer triple glazing for extra insulation. Offer your customers peace of mind with One Collection Flush uPVC windows and doors. Our flush windows and doors are PAS 24-2016 and Secured by Design certified and come with corrosion resistant, multipoint locks.